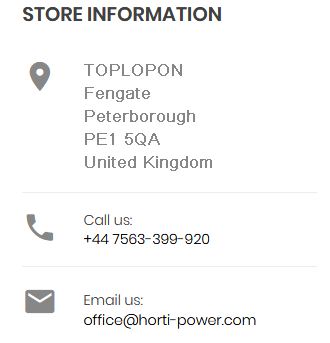 Are you looking for a quality power unit at a low price from a trusted seller? 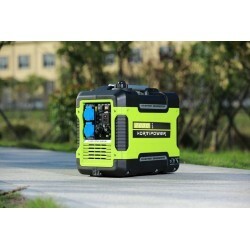 Look no further as this portable inverter generator will do the job unlike any other. 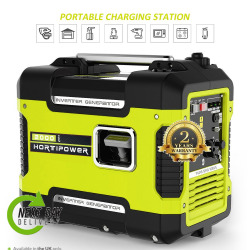 Whether you plan to enjoy home comforts on your next touring holiday or you want power to hand for work or play, this model by Hortipower will prove an excellent choice. 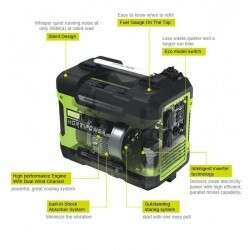 Are you looking for a quality power unit at a low price from a trusted seller? Look no further as this portable inverter generator will do the job unlike any other. 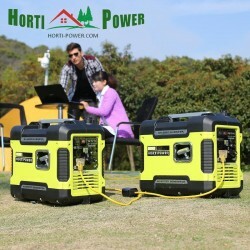 Whether you plan to enjoy home comforts on your next touring holiday or you want power to hand for work or play, this model by Hortipower will prove an excellent choice. 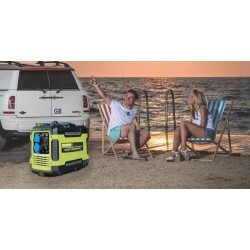 The engine has been particularly designed for travelling, campgrounds, construction sites, tailgates and power outages. 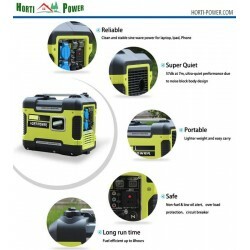 Our inverter generator offers clean, quiet power, with 2000 peak Watt and 1,800 running Watt so you can use it with microwaves, refrigerators, hair dryers, small air conditioning units or laptops. 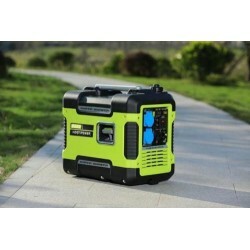 Unlike most generators available on the market, this model is 100% copper wound and powered by a 4 stroke single cylinder engine with a super quiet muffler to reduce engine noise. Thanks to the parallel mode the generator can be paired with another one to produce more power. 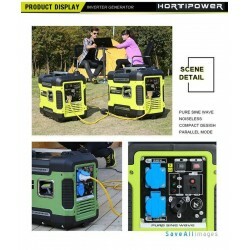 Parallel mode: can be paired with another generator to produce more power. 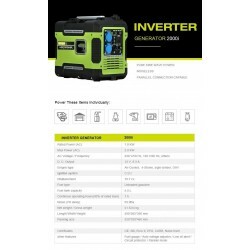 I have purchased that inverter generators via eBay over 1 year ago and I ma very happy with that item. Its low noise , low petrol. 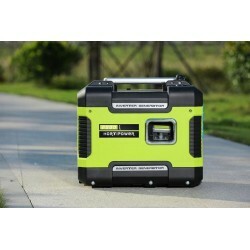 Its perfect generator for may campervan .